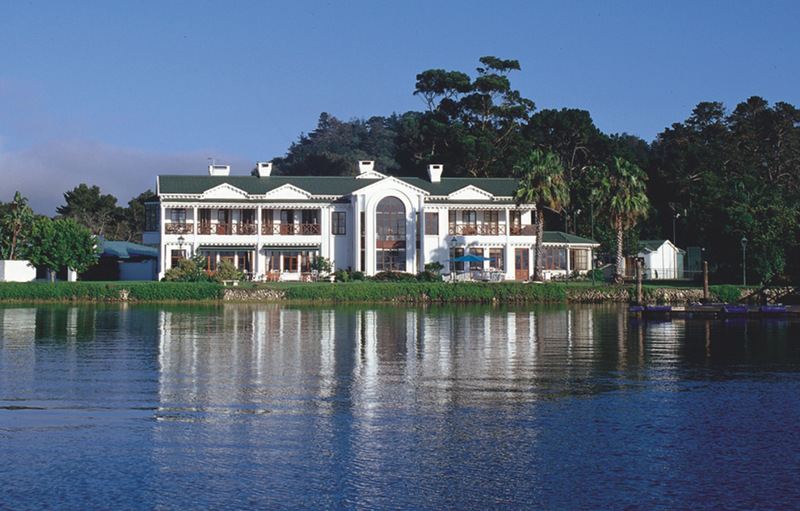 Full of old world charm this five-star Country House Hotel is nestled on the shores of the world-famous Knysna Lagoon. 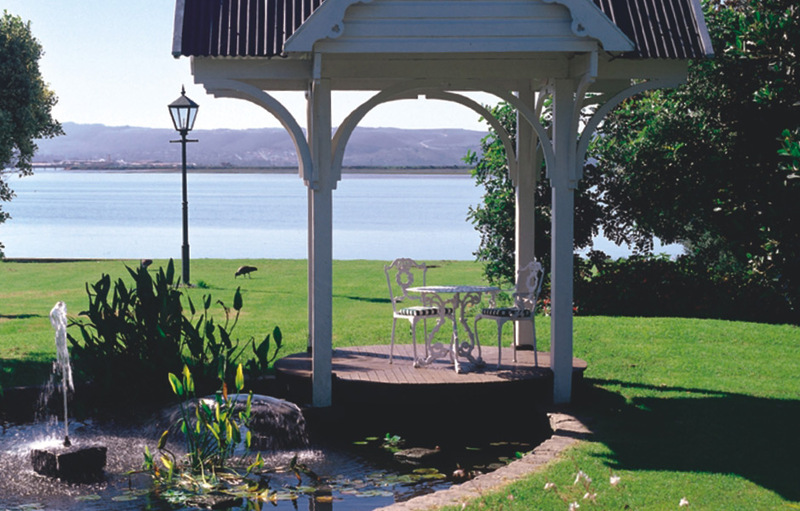 Picnic alongside the tranquil Khoi pond or take a quiet walk in the peaceful manicured gardens. Life moves at a leisurely pace here on the banks of the expansive lagoon. Guests can enjoy a refreshing dip in one of two sparkling pools, play croquet or spend a lazy afternoon angling off the private jetty. For the more adventurous we offer canoes for those wishing to explore the fascinating eco-system on their own. St James Restaurant offers fine dining with well stocked wine cellar. Country style breakfasts, light lunches, teas and snacks are served on the patios and terraces. The Paquita Bar is warm and inviting and has a lovely lagoon facing patio. After dinner cosy up in front of the crackling log fire in the main lounge and savour a fine port from the hotel’s cellar. 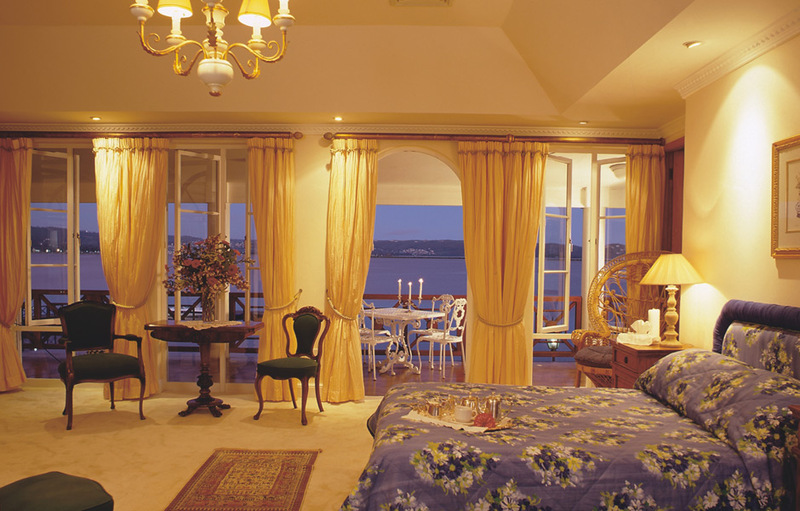 All of the lavish rooms and suites offer superb en-suite bathrooms and resplendent views across the tranquil lagoon all the way to the dramatic Knysna Heads or over the magnificent three acre landscaped gardens. 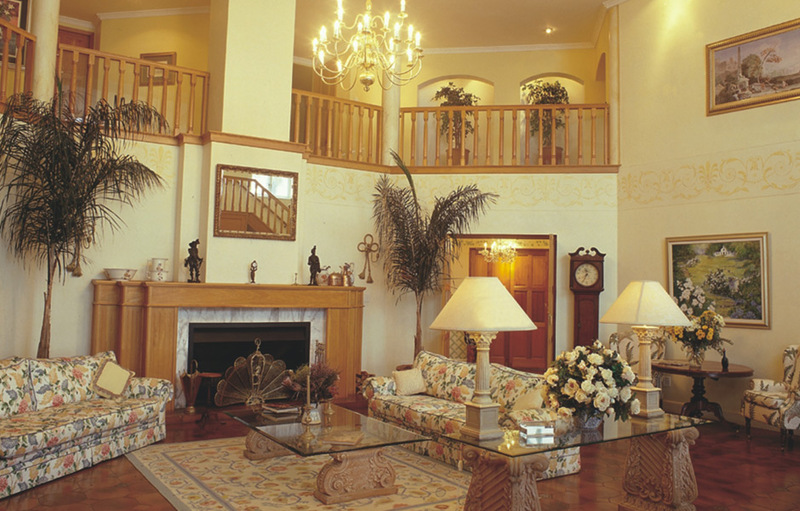 Whether you stay in the Manor or the Courtyard, all the rooms and suites feature en-suite bathrooms, mini bars, tea and coffee making facilities, satellite (DSTV), television, safes, direct-dial telephones, bath robes and hairdryers. Should you require adaptor units, all international adaptors can be requested from reception.